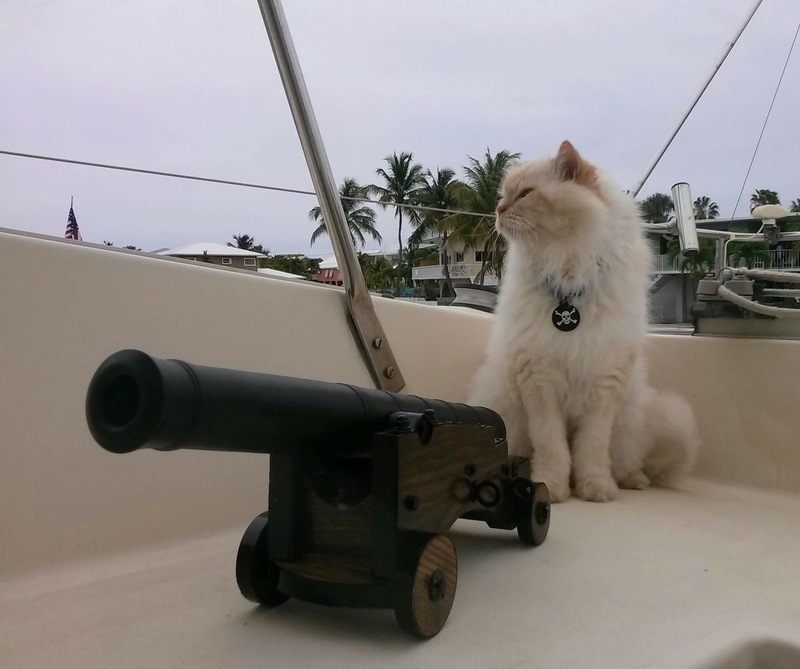 Happy Caturday Furiends and a very warm welcome to Capt. Sunny for this weeks Caturday Connections. Tell us a little bit about yourself Sunny. I adopted Capt. Chris almost 16 years ago. He came to my house to do some work for my mommy when I was a month old and I smuggled myself into his tool bag one night before he left. He brought me back the next day but when mommy asked him how much she owed him for a few days work he said he would take me instead of the money! We have been inseparable ever since. Have you always lived afloat or have you been on land too? For my first 10 years I lived in a big house in Palm Beach, which I helped Chris remodel from the floors up. I’m very good at helping with any projects. 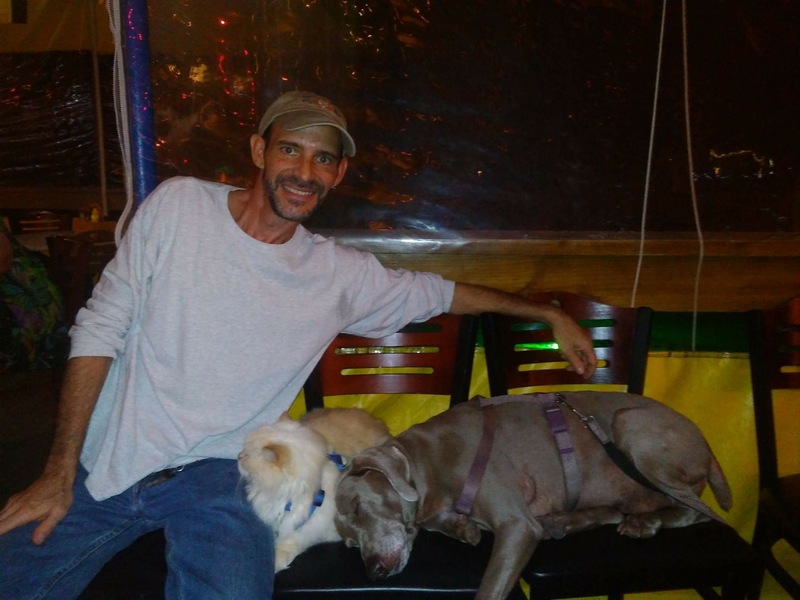 My other favorite hoomins are Grandpa Don and Chris’ bff Scotty Howard. I also really like two of Chris’ old roommates Phillip and Billy. They are all very nice hoomins with old souls and have taken good care of me. Where are you happiest… On land or at sea? When the housing market crashed Chris got very stressed out and we lost pretty much everything we had worked for, but he saw it coming bad and sold things and had saved up enough money to buy our Prout sail CATamaran and walk away from the normal stressful life. There was a woman named Jennifer I never really liked that much and we left her behind too. Chris was upset about that but it was fur the better, he should have listened to me about her for those 5 years he kept her around. So I was about to turn 10 and we moved onto the boat in the Florida Everglades. It was awful. It was very hot and smelled bad. I did not like it at first, I was so unhappy I did the worst thing I ever did to let him know how unhappy I was…. I pooped right on his pillow! Where’s your favourite place to relax? Chris worked very hard on the boat to make it nicer for us and I helped every day. I found lots of “places” on the boat and sometimes I scarred him purrdy bad when he couldn’t find me. Eventually the boat became my home and I don’t really miss living on land at all except when the sea gets angry and tosses us around allot, then my tummy gets sick and I throw up and drool at lot. Do you ever get sea sick? Sometimes Capt. Chris gives me a pill I really hate and it makes me kinda dizzy so I don’t get sick from the angry sea. 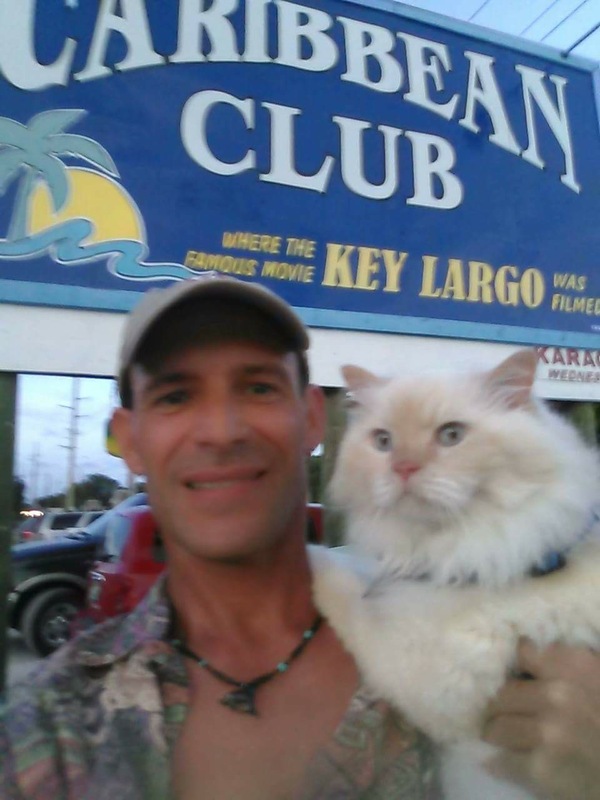 I have been living in the Florida Keys for 6 years now on the boat and we sail it all the way to Key West every year for a few weeks fur a big party there called Fantasy Fest. I meet hundreds of new hoomins there. 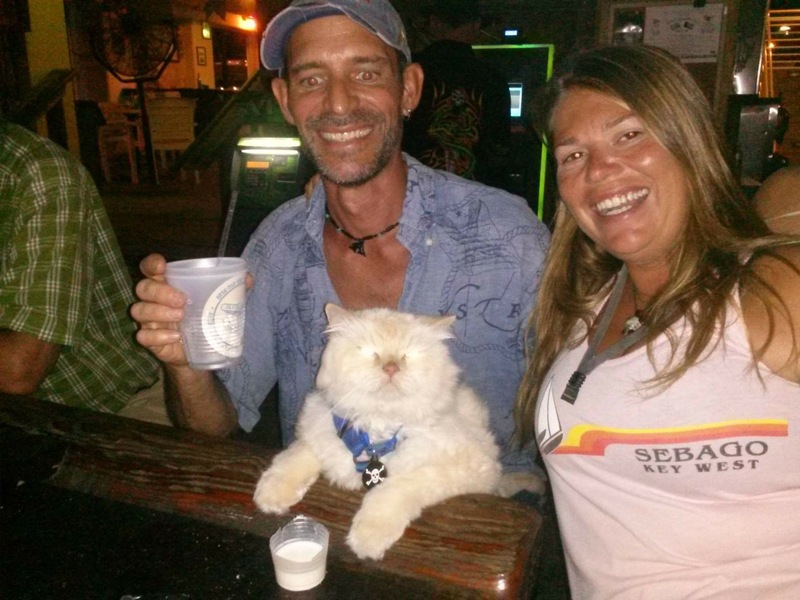 I have made a lot of friends in the Keys and most of the bars here allow doggies and cats, but so far I am the only cat I have met going out. I have lots of special doggie friends though. I have even met a parrot and a rat at the bars in the Keys. How do you spend an average day of your life? My favorite things to do are wake Capt. Chris up every morning by stomping on him and poking him in the nose. If he keeps ignoring me I have to pull his hair too. I also love to watch the sunset and we go up on the roof almost every night to watch. Sometimes we go to special places to watch it too. Where’s your favourite place to hang out? Key West is a good place to watch sunsets and it is my favorite place to visit. I have lots of hoomins there. That will be our next big adventure again in October. Have you ever fallen overboard? Yes I have to admit I have fallen overboard a few times but not recently, I don’t like it, but Capt. Chris gives me a warm bath after that happens. We have hot water on the boat but sometimes he has to wake up the bilge monster named Yanmar to make the water nice and hot. Sometimes Capt. Chris has to go on long trips on other boats and then I stay at my aunty Kathy’s house or our friend Pasha comes to my boat to take care of me. I heard you’ve been unwell, are you Okay now? A few months ago I got really sick and almost deaded. Capt. Chris wouldn’t listen to the doctors and didn’t give up on me. I didn’t want to eat anymore and started to waste away. My fur got all nasty too. He worked really hard and made me eat some really good things and some yucky things too. He gave me lots of massages and called out for all my people to send me good energy and it worked. 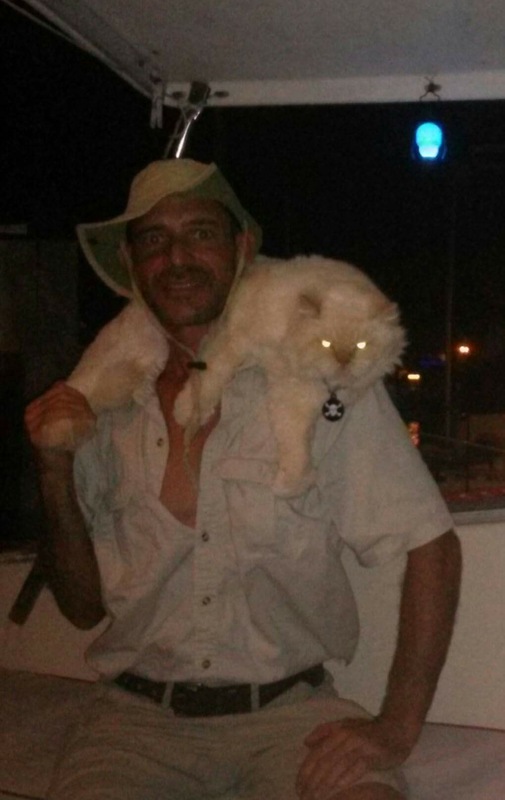 I feel really great now and I’m even going to catch the red dot mouse that lives on our boat, you will see! If somebody asked you for advice and you only had a few minutes to give them your best tip, what would it be? If I had one bit of advice to give everyone it would be to watch the sunset with your loved ones every chance you get. They are never quite the same and you never know if you will get to see another one. Thanks fur asking me about my life… Fair winds. CaTptain Sunny. Do you have a website or social media channel where we can follow your future adventures? Thank you so much Capt. Sunny! Thank you for typing Capt. Chris! I’m so happy to hear that you’re well again and those bars in the Keyes sound PAWESOME! I hope to meet you there one day! « Humans are terrible at yoga! 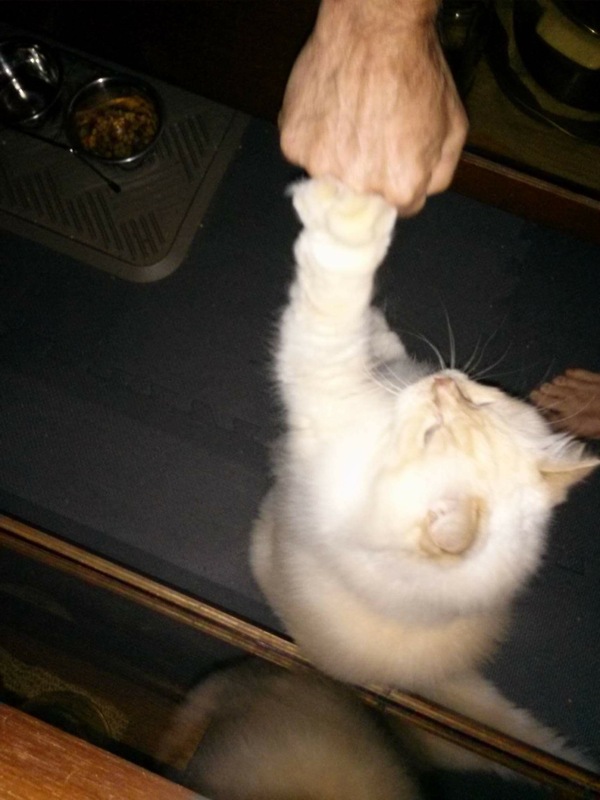 Well how nice to meet another boating cat – and we’re about the same age! Sunny you have had a lot of adventures in your life – I admire that and that you’ve never given up even when you must have been very sick. Hang in there my friend and happy sailing! Great post. So happy to meet Capt. Sunny! Will reblog. Nice to meet you Sunny. You are a pretty big boy! We wish you lots of happy sailing. What a great interview! We enjoyed getting to know Captain Sunny. Thanks for sharing and I am glad you are feeling OK too. I was happy to hear you have dog friends. Nice to meet you, I saw you in that book. I hope you continue to feel well for a long, long time. Captain Sunny sounds so awesome! Great interview Bailey. Nice meeting Captain Sunny, sending him some POTP so that he continues to stay nice and healthy! We recently became Facebook friends with Sunny, so it was pawesome to open our email posting from you and see him here! 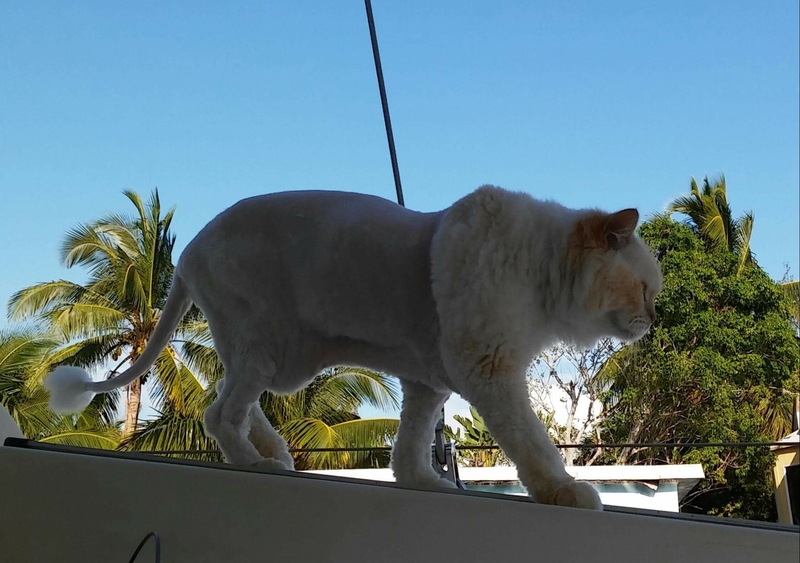 What an amazing life Sunny leads as you do Bailey- brave and adventurous kitties for sure. Thanks for doing these Caturday Connection features, we have been enjoying them immensely. I see why you are named Captain Sunny. You are definitely the sun in Chris’ life. Stay well. You are a fantastic cat. If I’m ever down your way I would be honoured to meet you. Take care of yourself.